The Greater Avon Chamber of Commerce is proud to provide you with this edition of the 2007 Community Profile and Membership Directory. We are excited with the opportunity to showcase our members and supporters with this most comprehensive and useful directory. We hope you will use this directory to introduce yourself to the many fine businesses and opportunities that abound in our rapidly growing community. 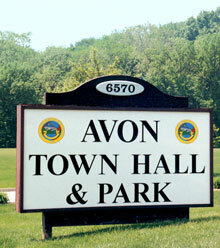 For schools, shopping, industrial sites, residential communities, medical care, and much, much, more, we think Avon presents itself as one of premier communities of Hendricks County. If you would like more information on this exciting community and the Greater Avon Chamber of Commerce, call us today at (317) 272-4333 or visit our website at www.avonchamber.org.